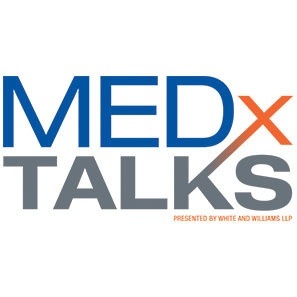 White and Williams’ MEDx Talks, a series of high-level presentations on cutting edge topics impacting the healthcare industry, is designed to provide insights into some of today’s biggest issues and innovations. Associate Alison Russell recently sat down with Dr. Matthew Finnegan, Chief of the Division of General Surgery at Our Lady of Lourdes Medical Center, to discuss his presentation and background as a surgeon. Dr. Finnegan will present on the changes to the general surgery landscape and the education of general surgeons throughout the country. HOW WERE YOU FIRST INTRODUCED TO GENERAL SURGERY? I have been practicing General Surgery since 1994. My father, a cardiothoracic surgeon, was not only my role model but he taught generations of surgeons in Philadelphia. My mother, who is still working at 82, is a world-renowned physician who was recently honored by the president and the U.S. Secretary of Health and Human Services with the highest honor for a civilian in Healthcare, the Surgeon General's Medallion. She has always motivated me to be the best at what I love to do, which is surgery and teaching surgery to the next generation. What most interests you about general surgery? General Surgeons are in some ways the most talented doctors in the hospital setting because they are usually very well-trained and the hospital depends on them to take care of the sickest patients. Some have very specialized training to provide the highest level of technical and intellectual care to the patient with specific needs, i.e. breast cancer. Some decide to have a broader base of practice and provide acute care surgery in most hospitals. I was drawn to general surgery because of the vast range of procedures one could master and the different types of patients you could care for. What should healthcare professionals know about general surgery? General surgeons are the backbone of most hospitals. They provide specialists in trauma, acute care surgery, GI surgery, hernia surgery, breast surgery, bariatric surgery and critical care, just to mention a few. Healthcare professionals should be aware that general surgery is very important to every health system – without it the emergency room (ER) would close. Hospitals must provide acute/emergency surgery to keep their ERs open. It is also important to have surgical hospitalists on staff who are able to evaluate the general surgical (most of this revolves around acute abdominal disease) needs of your patients 24/7. Tell us about your presentation. I will address the complex challenge of the shortage of the traditional general surgeon, as well as review the changes to the general surgery landscape and the education of general surgeons throughout the country. I’ll also discuss the latest projections and trends general surgery for the next three to five years. General surgery will be just one of the topics explored at MEDx Talks 2019 at World Café Live on April 30th in Philadelphia, PA. Learn more about General Surgery and other presentations at this year’s MEDx Talks 2019. For more information about general surgery visit the American College of Surgeons.